It’s pretty much a given that there is no clear consensus when it comes to deciding what the best handgun scopes are. The sheer amount of choices and purpose specific specs is just too much for the average shopper to handle. Of course, this is both an advantage and a disadvantage. In other words, you’re pretty much certain to find something that will suit your needs to a tee, if only you’re patient enough to read through all the manufacturers’ fluff. Luckily for you, we decided to do the legwork and make a short list of what we think are the best pistol scopes available on the market at the moment. 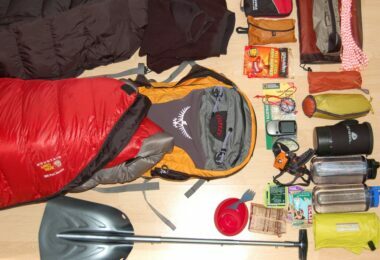 Of course, we made sure there’s a bit of something for everyone’s budget and needs. 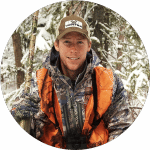 To be able to make an informed decision, it goes without saying that you should know at least the basics of hunting optics. That said, this section is for the novices among our readers or those who would like to check if we know our stuff. 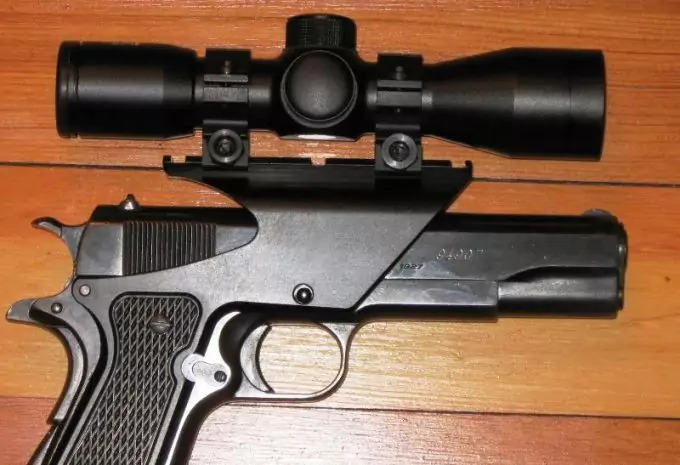 If, on the other hand, you’re certain you can find the best handgun scope on your own, feel free to skip this section and head straight for the reviews. Either way, we hope you enjoy the read! The first thing you’ll need to check out when buying a handgun scope is the eye relief, since this is what dictates whether you can use it on a pistol or not. For those unfamiliar with the term, this is the distance between the exit pupil and the eyepiece lens. 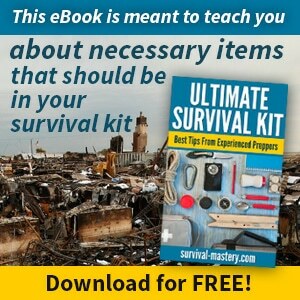 Ideally, you’re looking for a variable length, going from at least 9 – 10 inches and up. Most of handgun scope will go up to 20 inches. Conversely, a riflescope will have a 3 inch eye relief, on average. There’s no magical number here, as the ideal relief will depend on your reach and preferred shooting stance, but in general, the bigger the number, the better. The exit pupil refers to, in simple terms, the bright discs you can see looking through the eyepiece from a distance (10 inches or thereabouts). They manifest in the center of the field and affect the brightness of the image – the bigger the diameter, the brighter the image. You can roughly calculate the size of an exit pupil from the specs sheet if you feel so inclined – take the diameter of the objective lens (in mm, of course) and divide it by magnification. To paint an image, a 32 mm lens with 4x magnification will have an 8 mm exit pupil (32/4=8). Naturally, if you’re dealing with a variable magnification, the exit pupil will also vary in size. However, considering that the human eye will open up to 7 mm max (8 mm exceptionally), anything beyond that value will deliver more light than your eye will be able to process. Even if you’re a layman, you can guess the importance of magnification in a scope, especially if it’s a hunting scope. That said, you’ll need to balance it out with the field of view, which we’ll discuss shortly. 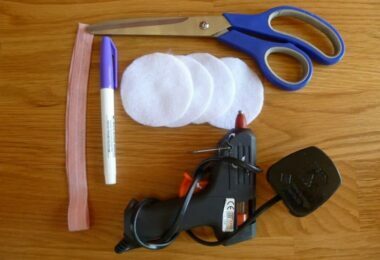 As for magnification per se, there are two ways you can go – fixed or variable (both pretty self explanatory). The former will oftentimes be cheaper, simpler, more consistent and more reliable, while the latter are, well – variable, so you won’t have to figure out the holdover. The field of view, or FOV on a scope is how wide you can see with your scope, to put it in terms that even the uninitiated can understand. It’s measured either in feet at 1,000 yards or in degrees, but conversion is simple enough (1 angular degree equals to 52.5 feet). Obviously, the more FOV you have, the better you’ll be able to track highly mobile targets, but this will invariably mean less magnification. So, either way you go, more magnification or more FOV, you’re making a trade off. If you’ve heard it once, you’ve heard it a thousand times – a scope is only as strong as its mounting system. In other words, you can get a scope that handles the recoil of a .500 S&W caliber, but if the rings are a piece of junk, your scope will perform likewise. Ideally, you’ll want to go as low as possible so that you make sighting easier, as well as enhance the stability and longevity of the rig. That said, the ideal ring profile will depend on the objective lens size, so 32mm lenses might require at least a medium ring. 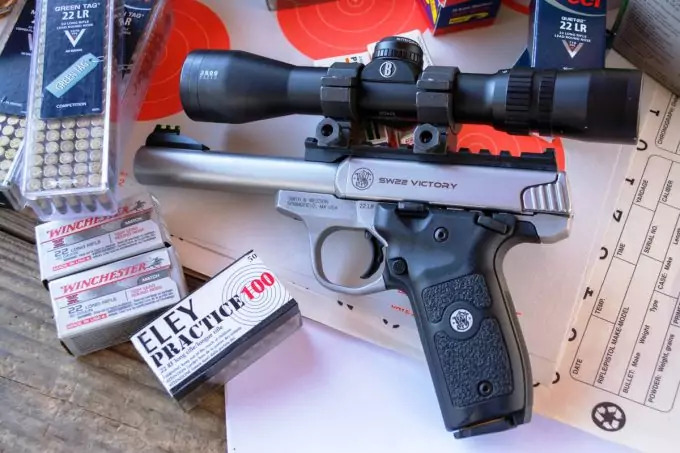 Down below you’ll find the best pistol scope reviews, along with pros and cons for every product and a short recommendation regarding its best usage. Feel free to agree or disagree, but be sure to read them all so that you don’t miss out on a potential deal. 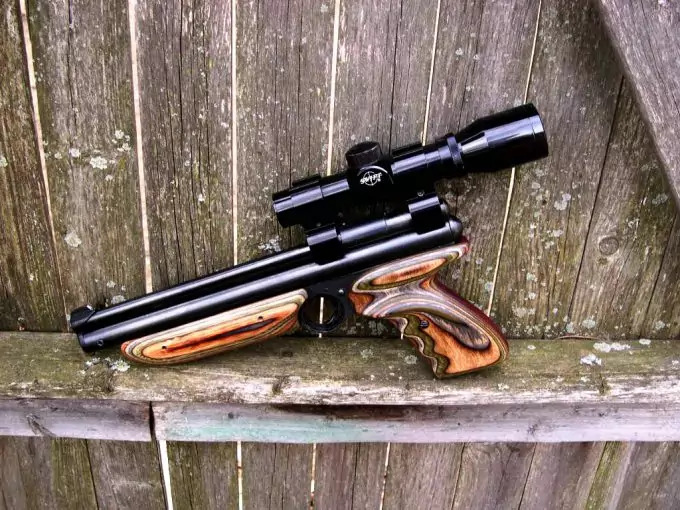 The Simmons ProHunter Handgun Scope is a nice little (figuratively speaking) scope that can be attached to a variety of firearms. That said, the lens diameter is considerable (3 2mm), so you’ll need medium profile rings for it, at the least. 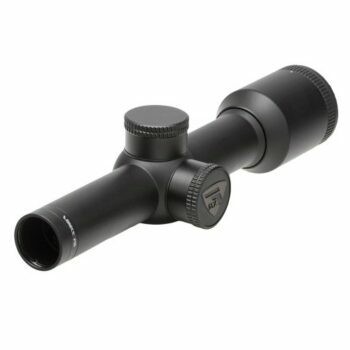 Going back to the versatility aspect, this scope is surprisingly durable considering the price range, and has been certified to withstand the recoil from a .375 H&H magnum rifle, as well as a 3.5 inch shell fired from a 12 gauge slug gun. 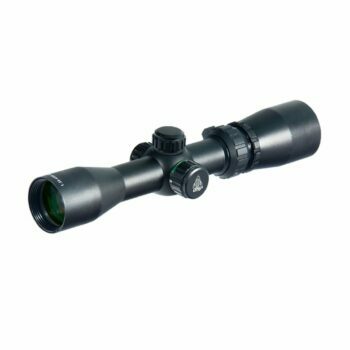 As far as the optics go, this scope comes with multi coated glass lenses, which goes a long way to optimizing the use of available light. In other words, you could probably get away with hunting in twilight (dusk and/or dawn). The TruPlex reticle, as you may have guessed, is the regular Duplex reticle with Simmons’ twist in the name. Related: In case anyone’s wondering, the scope does take 1 inch mount rings, and we’d recommend using either the Weaver Quad Lock Rings or Simmons Aluminum Rings. Either way you go, you’re getting a neat choice between black matte, black gloss and silver finishes. The Weaver rings are a smidgen pricier, but well worth it. Much like the name would suggest, the UTG Duplex Reticle Handgun Scope comes with a nice adjustable magnification (up to 4x), as well as a considerable 32 mm emerald coated lens (good for twilight conditions and makes the lenses look somewhat brighter). 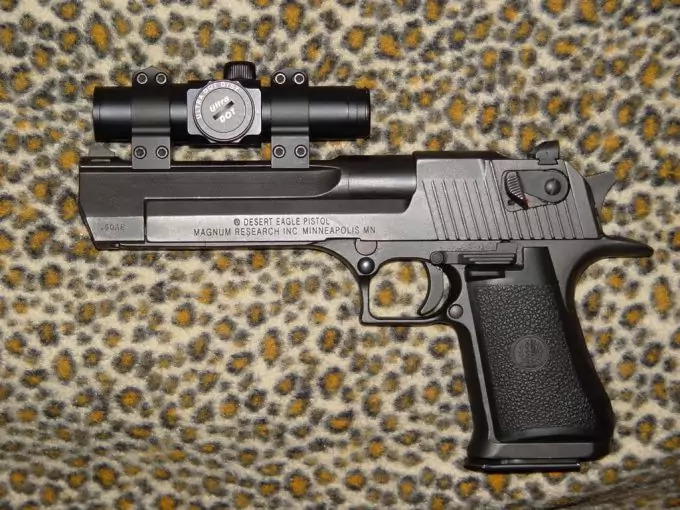 The scope is fairly lightweight, as it well should be, considering it’s designed for handguns. Couple that with the variably eye relief (up to 26 inches), this makes it perfect for shooting with your arms outstretched to the fullest (well, depending on your reach, of course). The reticle is red on green and illuminated, with a side wheel to control the intensity. 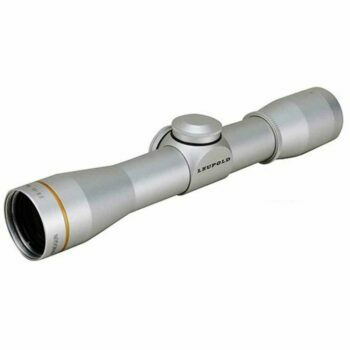 For this purpose, the scope uses a single lithium metal battery (3V CR1620), which comes with the purchase. The housing is surprisingly rugged for the price range, and it’s rated as completely rainproof and fogproof (sealed and nitrogen filled). Moreover, the scope is shockproof, so you should get away with banging it lightly on accident (still, best not to push your luck). Related: If you’d like to get started on the right foot, consider investing in a proper mounting system – UTG’s own UTG PRO Picatinny Rings is a nice choice in this regard. If you’re at least half interested in firearms and optics, then you’re probably familiar with Leupold and their reputation in the industry. For its part, the Leupold FX-II Handgun Scope does a nice job of building up said reputation. The major selling point of the FX-II is the quality craftsmanship, which makes it well able to handle heavy recoil and still hold zero. The optics give you plenty of accuracy up to 100 yards, and then some. It takes 1 inch rings to mount the scope (Picattiny or Weaver, it doesn’t matter), and it would be advisable to use low to medium profile ones, given the lens is 28 mm in diameter. As for the eye relief, it’s fairly generous – 18 inches, though some of you might need even more than that (especially if you’re carrying a Remington XP-100 or an equivalent). On that note, we should mention that 18 inches is as long an eye relief as Leupy makes these days. That said, the field of view is rather disappointing (9 ft. at 100 yards), but it does make up for it with magnification. It’s enough for varmint hunting or just plinking off in the backyard (say, up to 300 yards or so). 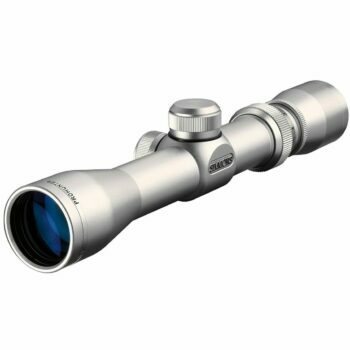 Related: As noted earlier, Leupold is pretty much a household name when it comes to optics. Over the years, they’ve developed great gear for mounting, maintaining and storing your favorite shooting aids. Starting with the mount options, we’d recommend the Leupold Rifleman Rings. For cleaning purposes, you can’t go wrong with the Leupold Lens Pen, while storing and carrying your bad boy might be easier with the Leupold Scope Cover. First off, despite the name, the Bushnell Trophy Handgun Scope is not designed specifically as a handgun scope – it’s not listed that way on the manufacturer’s site, nor does the packaging state so. 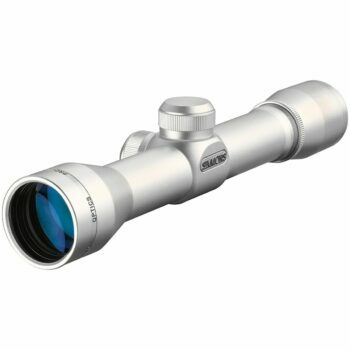 This is a long eye relief scope (variable from 9 to 26 inches), so it can be just as easily used on a handgun as on a Scout mount system (think Mosin – Nagant). The housing is rugged enough, so with good rings, it should withstand magnum caliber recoil. The Multi-X reticle is pretty much just the standard Duplex with thin crosshairs. 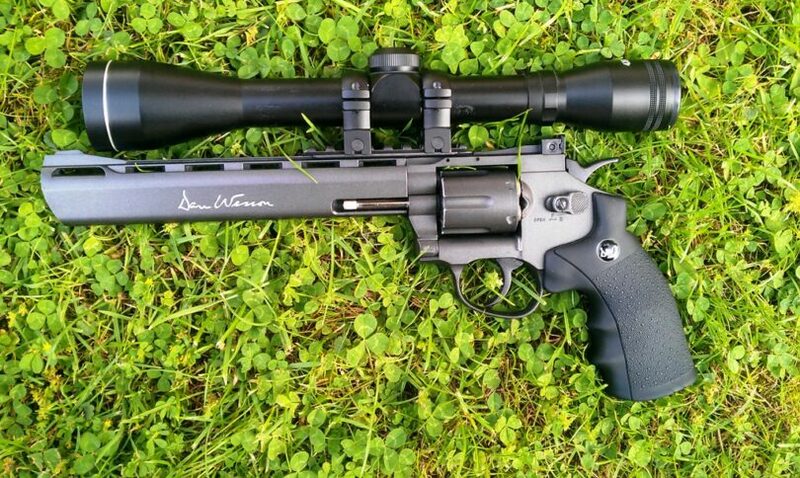 Couple this with the max magnification (6x), and you’ve got yourself more than enough accuracy for hunting varmint. The one downside about the scope is that it’s somewhat big (just shy of 10 inches), considering it’s a pistol scope. As you may have inferred from reading the name, the Nikon Force XR Scope comes with a decent 2x magnification and a 20 mm lens. This is hardly impressive if all we’re doing is crunching the numbers, but where the Force XR shines is the quality of the craftsmanship. The housing is nitrogen filled and sealed with O rings, making it waterproof and fogproof, no questions asked. It’s also certified to be shockproof, so it should handle the heavy recoil from a magnum caliber (field tested against .500 S&W). As far as the optics go, the coating does a rather nice job of using all the available ambient light, so you can probably get away with hunting at sunset or sunrise (keep in mind, though, this isn’t a night vision scope, not by a long shot). That said, the reticle does the job, but you’ll have a bit of difficulty seeing it in low light conditions. 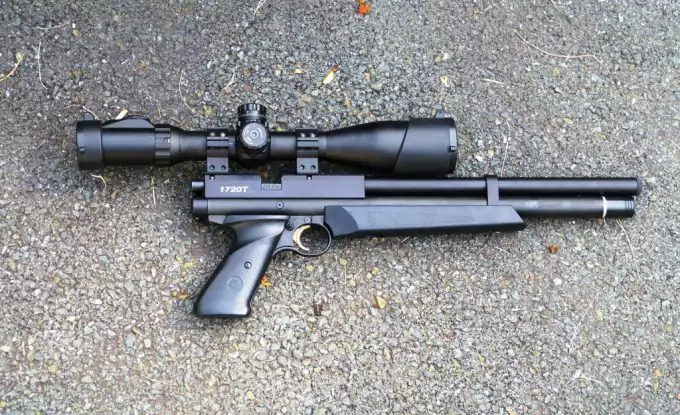 Now, it’s important to note that this is marketed as a pistol scope (and it is a great one, to be sure), but you can just as easily use it on rifles as a Scout mount. 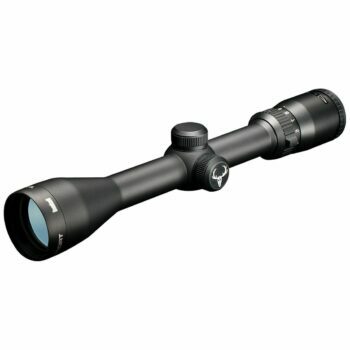 In other words, the Simmons ProHunter 4 x 32 Scope isn’t the ideal thing if you’re hunting prairie dogs at 300 yards, but for shorter distances and highly mobile targets, the combination of 4x magnification and 15 feet field of view works perfectly. Other than that, the two are pretty much the same – the housing is rather durable and can withstand considerable recoil (certified for 12 gauge slug guns and 3.375 H&H, and will handle the .22 LR ammo). Also, thanks to Simmons’ trademarked TrueZero windage and elevation system, the scope zeroes in quickly and stays locked in surprisingly well considering the price range. As for the optics, you’ll be getting a 32 mm multi coated front lens, which is excellent for hunting in poor ambient light (think dusk and dawn). The reticle is a thin Duplex, and it’s not illuminated. 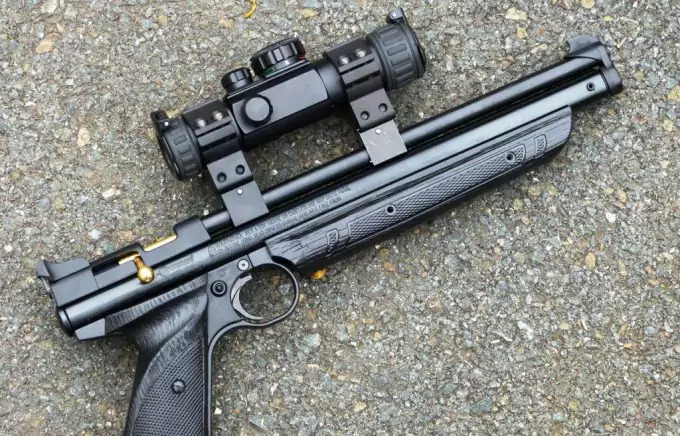 At the given price point, there aren’t many scopes that can compete with the Aim Sports Pistol Scope. It’s not amazingly bright or clear, but would you expect it to be? 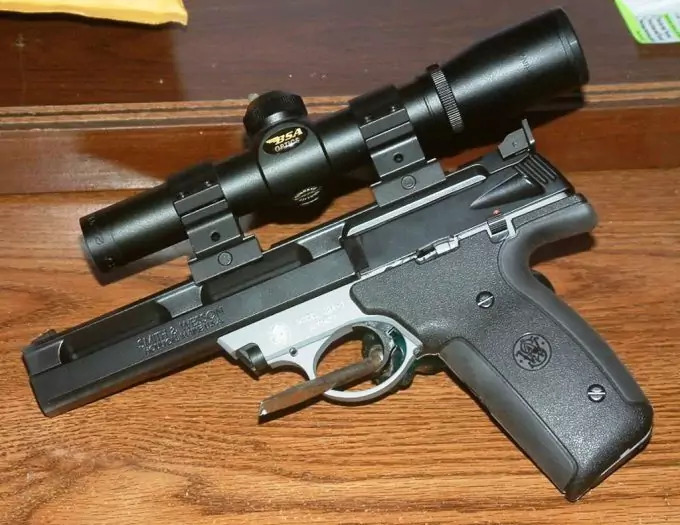 What you get is a fairly versatile pistol scope (can also be mounted on a Scout system), with a 1 inch tube, so whatever you’re mounting it on, keep in mind to get compatible rings (1 inch Weaver or Picattiny, it’s pretty much the same). 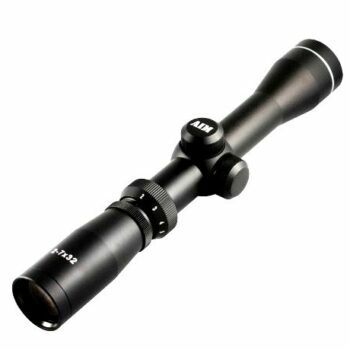 Speaking of versatility, it’s worth mentioning that the scope features variable magnification (2–7x) and a considerable objective lens (32 mm). On the flipside, it does make some sacrifices in field of view,. The reticle it uses is the standard Duplex, with thin crosshairs in the middle and thick crosshairs to the sides, nothing to write home about, but more than enough for hunting with. Another thing that could be improved upon is the blue coating – obviously, multi coating would be preferable for better light transmission. On the flipside, it does make it cost less, which is nice if you’re working with a limited budget. And that’s about it regarding the best handgun scopes we could dig out. We hope that you know everything there is to know about pistol scopes and you’ll be able to make an informed decision when doing the actual shopping. Still, a brief recap is in order. There are three main things to take into consideration – the weapon you intend to mount it on, what you intent to use it for and how you prefer to shoot. 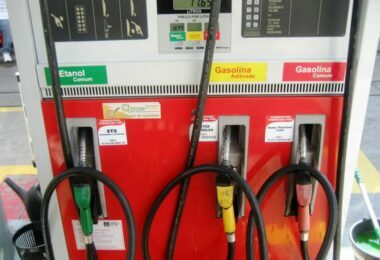 Another important thing to have in mind is the price, of course. Now, if you can’t decide between a cheap and an expensive scope, well… you’ve probably never even wanted the former. That said, always allocate at least a third of what your gun cost for a piece of optics, you won’t regret it. So, do you agree with our list, or would you like to add/remove anything? Or, alternatively, you might want to share an interesting story starring one of the scopes on our list? If so, please, leave a comment down below and share the article. Until then, happy shooting! What is Merino Wool: How Does It Stack up Against Other Fabrics?